Tomb Raider fans need prepare for a special promotion next week alongside the launch of Rise of the Tomb Raider: 20 Year Celebration. Those who log in to the game will receive a gift of 100,000 in-game credits as a thank you for everyone the world over, regardless of platform. 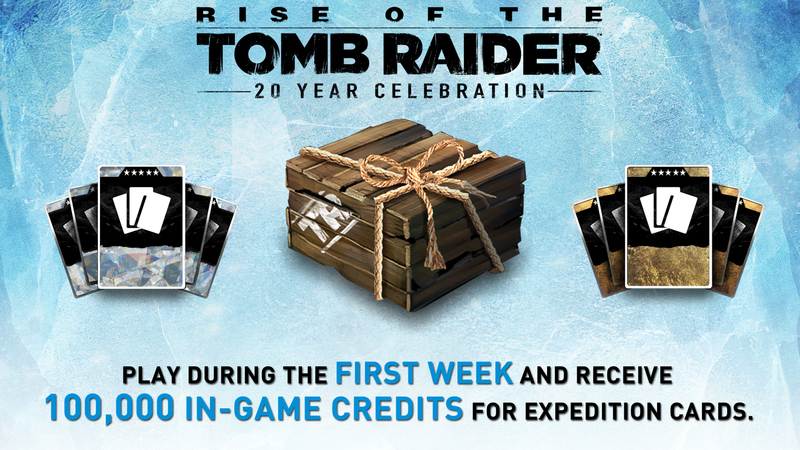 These special credits can be used to purchase Expedition Card Packs which become modifiers in the extra game modes, including new Rise of the Tomb Raider: 20 Year Celebration content such as Co-op Endurance and “Lara’s Nightmare”. Additionally, Square Enix is set to debut the Tomb Raider 20 Year Celebration Challenge – inspired by classic game shows from the 80s and 90s and hosted by Jessica Chobot. This event saw the inclusion of 12 internet personalities as they competed for the Golden Climbing Axe and crowned “the ultimate Tomb Raider.” Contestants included Melonie Mac, Doug Le of Nukem Dukem, Jessica Villarreal, “Atomic” Mari Takahashi, Jake & Logan from team Epiphany, Swiftor, Pamela Horton, Nick Gregorio, Fairlight Excalibur, Peter Paras of GameRevolution, and Malik Forte. Episode 1 of the Tomb Raider 20 Year Celebration Challenge will go live on October 6 and Episode 2 will release on October 12 following the launch of Rise of the Tomb Raider: 20 Year Celebration. 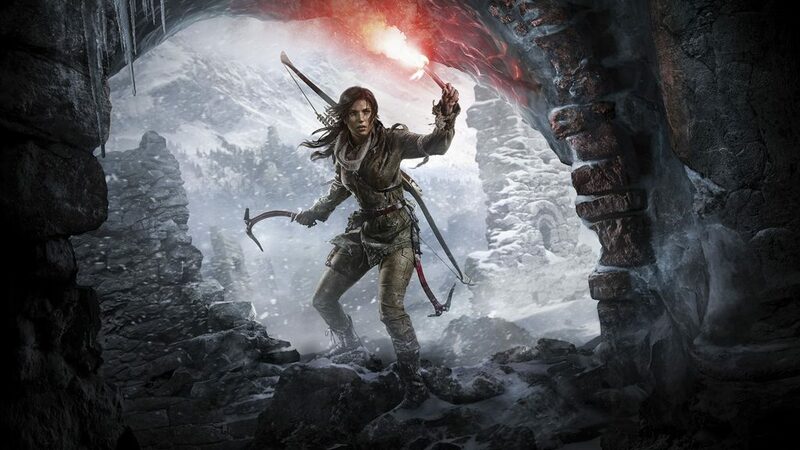 Rise of the Tomb Raider: 20 Year Celebration is due out October 11 for PlayStation 4. Posted in Rise of the Tomb Raider, Tomb Raider.